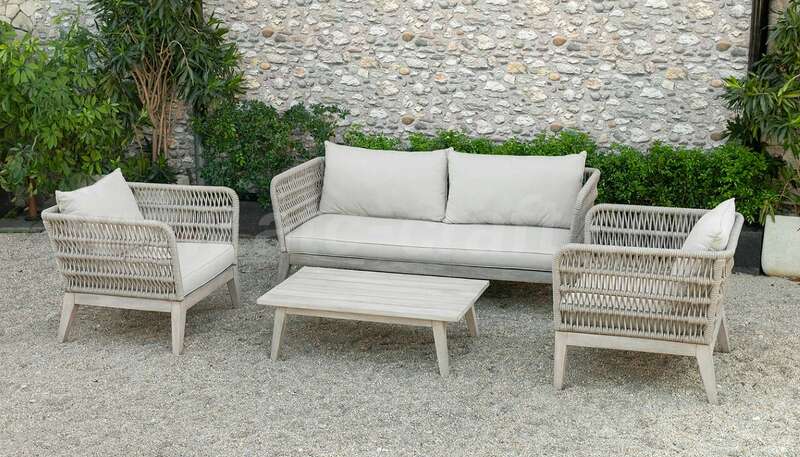 Probably the most recognizable patio furniture out there on the market, but these four piece sofa seating group just like this white grey ” Unique Handwoven Rope Outdoor Sofa With Wooden Frame RASF-170 ” have never failed to bring the chic and the comfort to the outside of any architecture before. 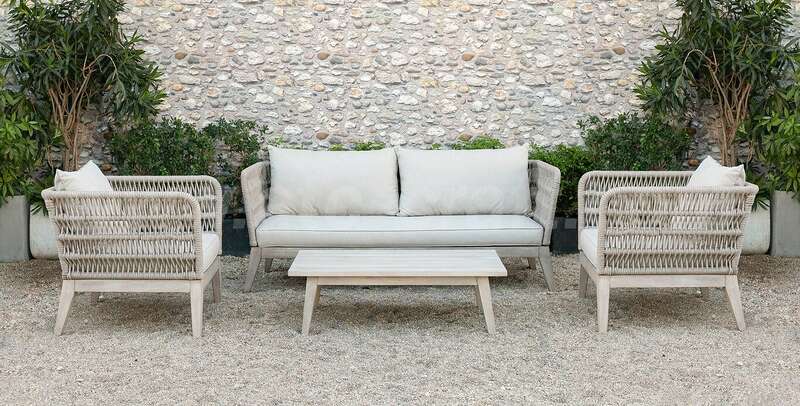 Furthermore, the woody theme of the set will perfectly fit to any porch, allowing you to enjoy lovely days with friends and family in a fashionable style. 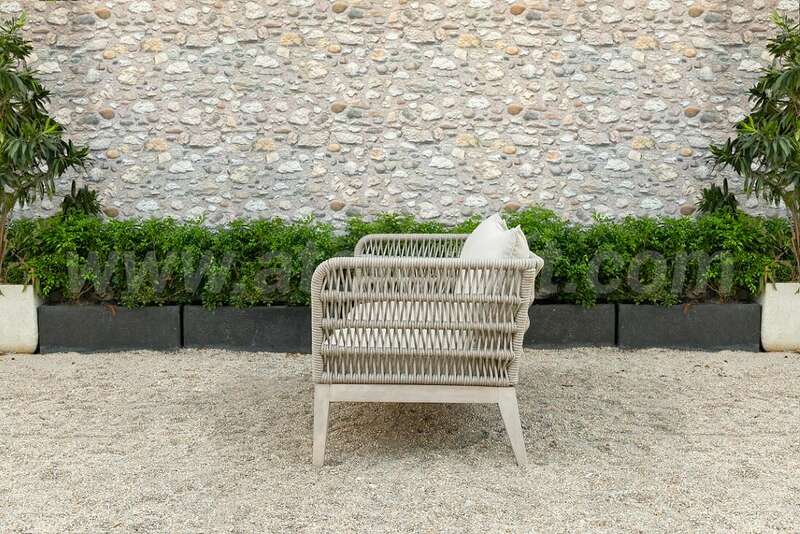 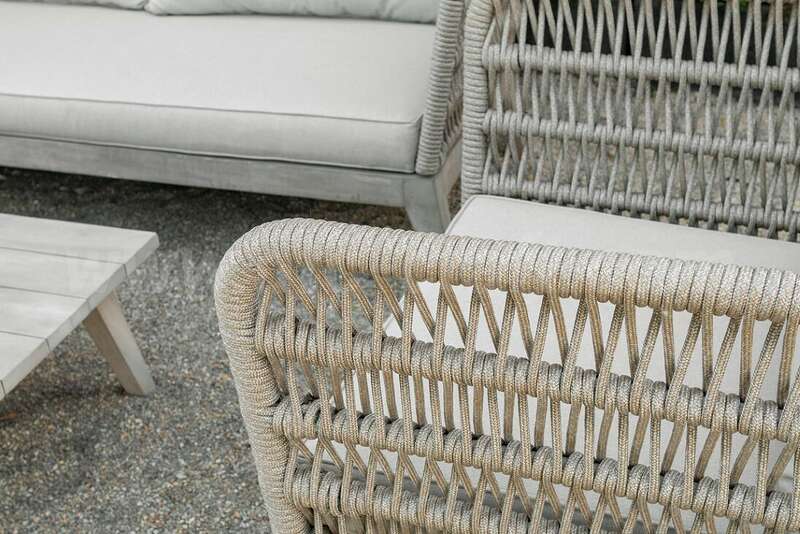 But instead of those normal straight lines knitting technique, these poly wicker sofas approach a new different method with thin round rope wrapped to create little V-shaped cover the powder coated aluminum frame, gives a fresher look to your outdoor scenery. 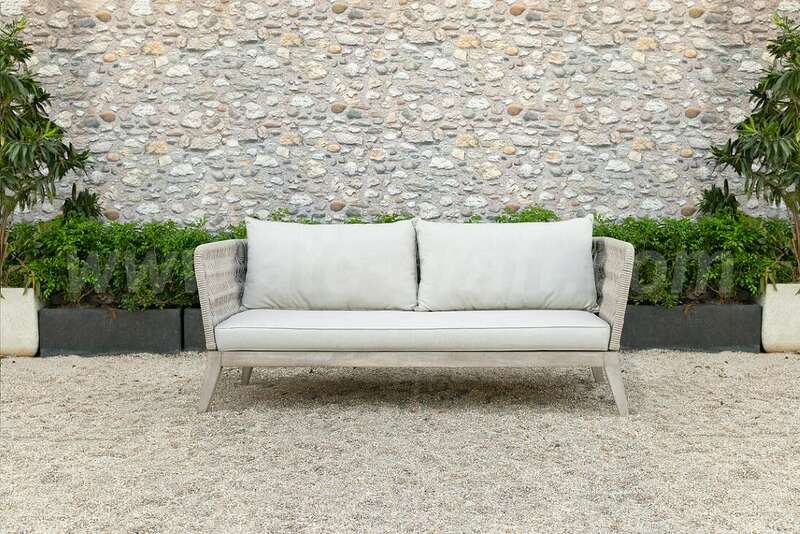 Not only that, the loveseat and two club chairs are equipped with thick base cushions for firm sitting and soft back cushions for the ultimate relaxation ideal for a long catching up conversations with your guess. 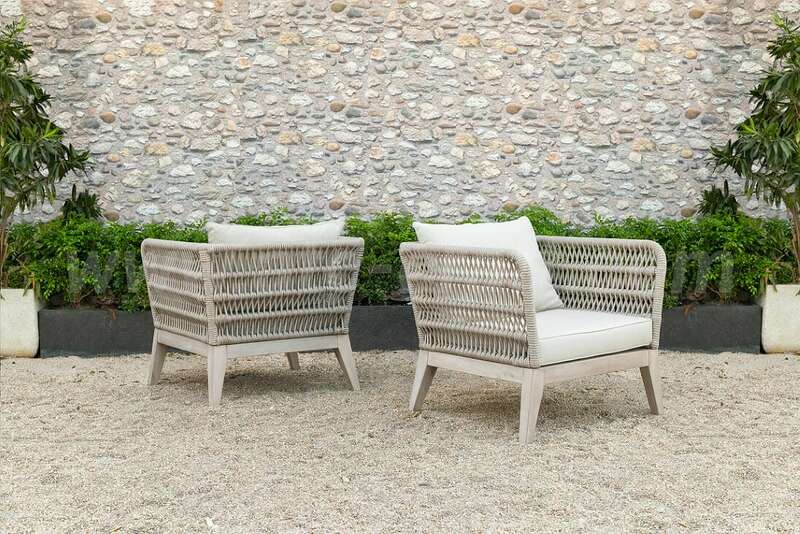 Naturally, being exposed to the outside environment required durability, and that is exactly what this Unique Handwoven Rope Outdoor Sofa With Wooden Frame RASF-170 can provides, with fast-drying rope, all-weather and UV sunlight protected fabric and rot resistant acacia outdoor specialized wood to prove they are here to last. 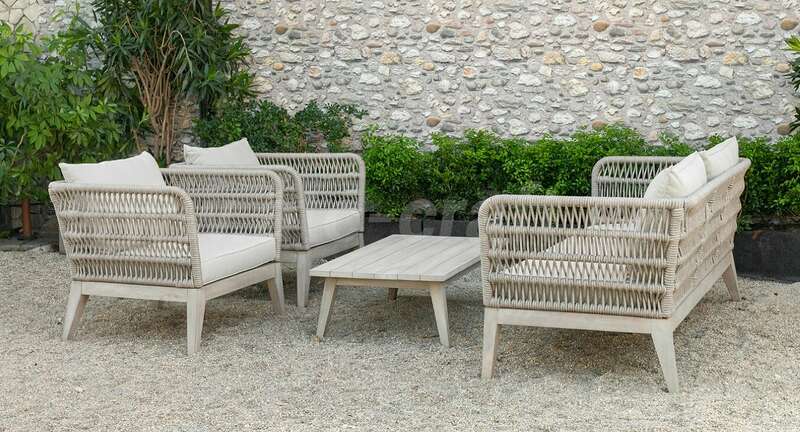 •All weather materials: round rope wicker, acacia wood, powder coated aluminum frame, water resistant cloth (250g). 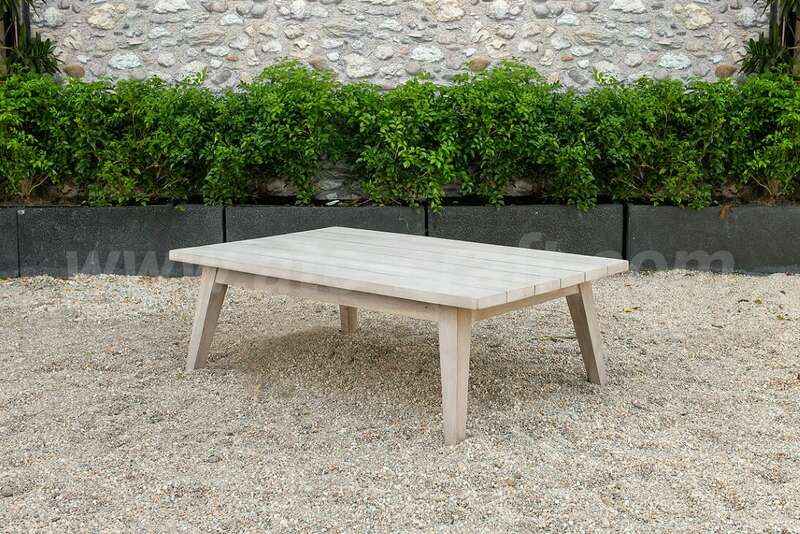 •Pieces included: 2 single sofa, 1 double sofa, 1 wooden table. 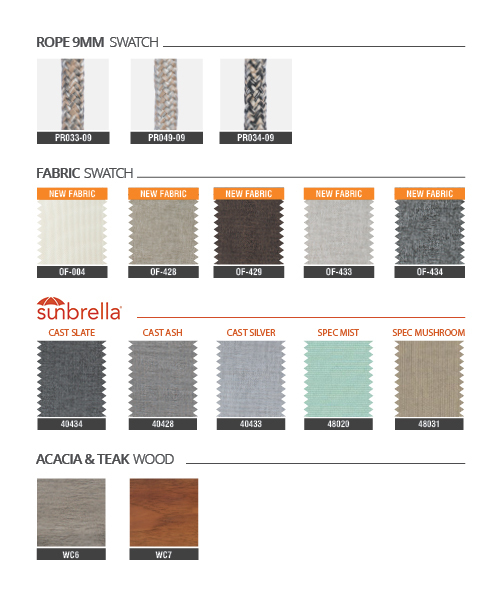 •Durability: water resistant, UV resistant, weather resistant.